Tomorrow’s League of Ireland Man of the Match to be minted! 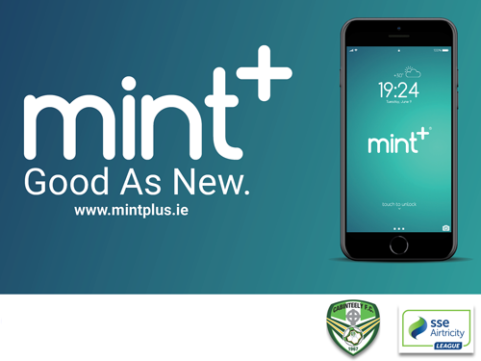 Tomorrow evening, club sponsor Mint+ is to make a presentation to our ‘Man of the Match’ v Athlone Town AFC at the end of the game. 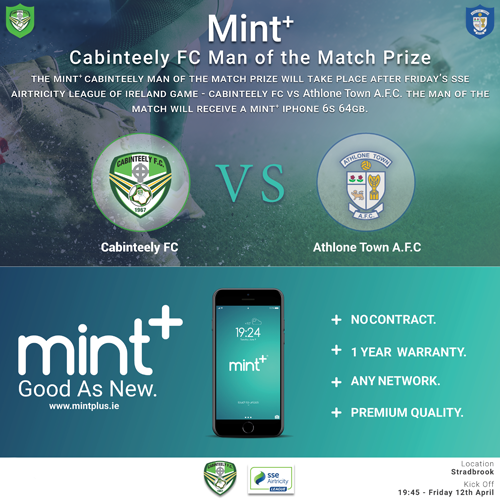 Do come along to support the lads (kick-off at 7.45pm) and see if you can spot the ‘Man of the Match’ before sponsor Mint+! Further information on sponsorship may be obtained from Pat Costello, Club Secretary and General Manager, on 087 638 9985 or by email. Let’s hope that the lads do more than phone it in tomorrow!